Are Hedge Funds Fond of Apartment Investment and Management Co (AIV)? After several tireless days we have finished crunching the numbers from the more than 700 13F filings issued by the successful hedge funds and other investment firms that we track at Insider Monkey, which disclosed those firms’ equity portfolios as of September 30. 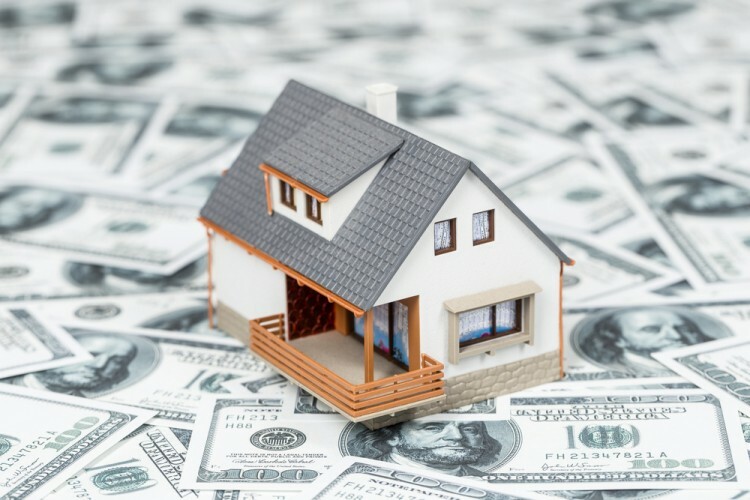 The results of that effort will be put on display in this article, as we share valuable insight into the smart money sentiment towards Apartment Investment and Management Co (NYSE:AIV). Apartment Investment and Management Co (NYSE:AIV) has experienced a decrease in activity from the world’s largest hedge funds recently. The company was included in the 13F portfolios of 16 funds tracked by Insider Monkey at the end of September, compared to 20 funds a quarter earlier. At the end of this article we will also compare AIV to other stocks including American Campus Communities, Inc. (NYSE:ACC), NetApp Inc. (NASDAQ:NTAP), and Jack Henry & Associates, Inc. (NASDAQ:JKHY) to get a better sense of its popularity. With all of this in mind, let’s check out the latest action regarding Apartment Investment and Management Co (NYSE:AIV). At the end of the third quarter, 16 of the hedge funds tracked by Insider Monkey were bullish on Apartment Investment and Management Co (NYSE:AIV), down by 20% from the previous quarter. 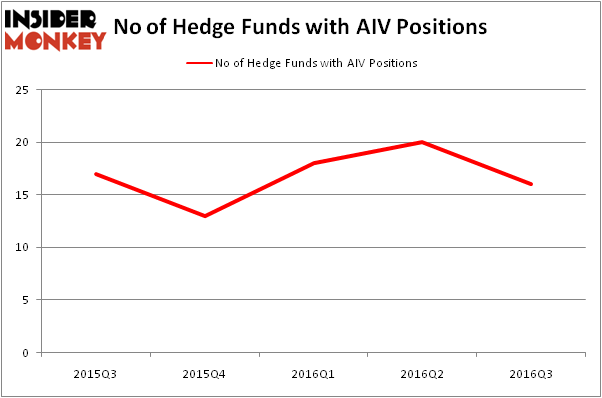 On the other hand, there were a total of 13 hedge funds with a bullish position in AIV at the beginning of this year. So, let’s review which hedge funds were among the top holders of the stock and which hedge funds were making big moves. When looking at the institutional investors followed by Insider Monkey, Jim Simons’ Renaissance Technologies holds the most valuable position in Apartment Investment and Management Co (NYSE:AIV). Renaissance Technologies has a $62.8 million position in the stock, comprising 0.1% of its 13F portfolio. The second most bullish fund manager is Citadel Investment Group, led by Ken Griffin, holding a $30.7 million position; less than 0.1%% of its 13F portfolio is allocated to the stock. Remaining peers with similar optimism comprise Eduardo Abush’s Waterfront Capital Partners, Phill Gross and Robert Atchinson’s Adage Capital Management and Michael Swotes’ Castle Ridge Investment Management. We should note that none of these hedge funds are among our list of the 100 best performing hedge funds which is based on the performance of their 13F long positions in non-microcap stocks.